We have been posting various blogs on how you can use gutters to enhance organization in your home, aid in gardening, provide endless hours of fun for the kids and add interesting and creative visuals to your outdoor spaces. How about a few random ideas to help inspire you to think outside the box with gutters? Take a look at what else we have come up with! 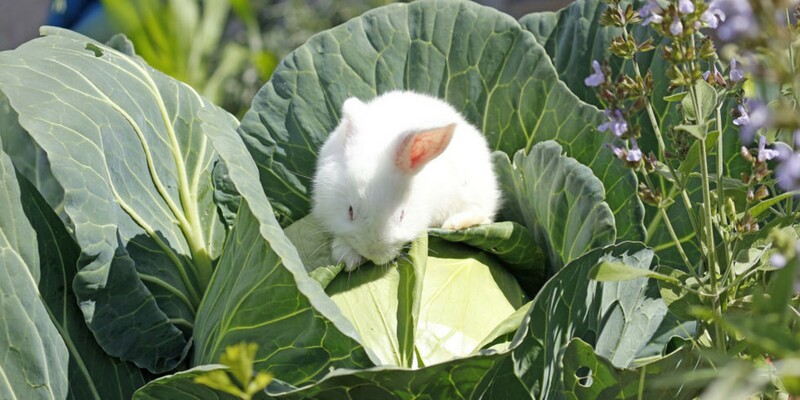 Do you find small animals such as rabbits, raccoons and even neighborhood cats can wreaking havoc on your harvest, eating your veggies and uprooting things wherever they go? Help combat against these creatures in a humane way by placing gutters over the tops of your fences or around the perimeter of your garden. Once the animal steps on the gutter, the sound of their feet on aluminum will alarm them and send them scurrying back in the direction they came from. Ensure that the gutter covering the fence top is secured loosely so that it will rock some when landed on. No animals will be harmed and your garden will have fewer visitors! Cords behind the TV and computer are so messy! Believe it or not, a simple piece of gutter can help bring order to the chaos and keep those cords out of sight and mind! Bind your cords and cables together using twist ties. 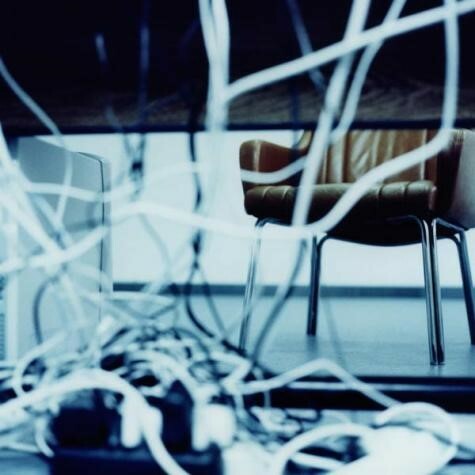 Once that is done, cover the mass of wires with a piece of gutter and mount it to the wall behind your desk or television stand. This will keep them pleasantly out of site and ensure they do not get tangled or tugged on. If you have an eye for detail you may want to paint the gutter to match your wall color or ensure it is hidden behind furniture. We all love to adorn the walls of our homes with beautiful images of our friends, pets and loved ones. Creating a personal photo gallery using gutters is a great way to display pictures of those you love most in the world! 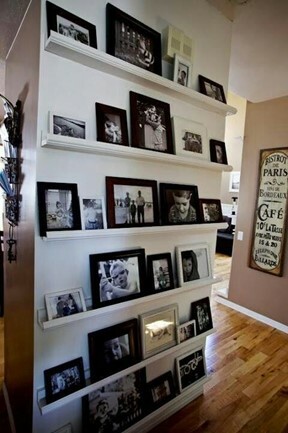 Simply mount gutters to the wall open end up and you have created shelving that is ideal for resting photo frames in. This also allows you the flexibility of displaying your pictures without putting an abundance of holes in your wall and makes it easy to swap pictures or reconfigure them. These gutter shelves are also great for holding small knick knacks and mementos helping you personalize your decor. Sometimes simply looking outside of the box can open a whole world of interesting ideas and creative ways to use gutters, so take a look around and see what else you can come up with!